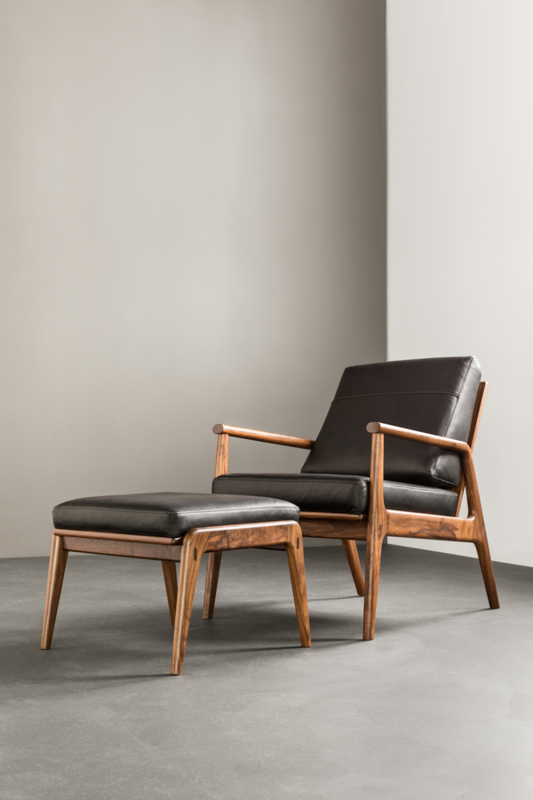 The Fahmida Ottoman was designed to pair with the Fahmida Chair or Sofa. 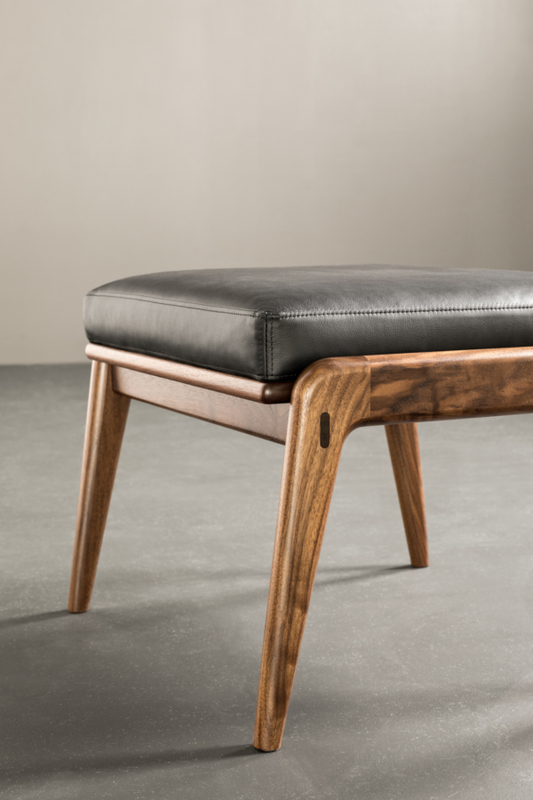 Influenced by the Mid-Century Modern style, specifically Danish modern, the ottoman leverages the strength and beauty of hand-finished hardwood and exposed mortise and tenon joinery — pinned and wedged for lasting integrity. The soft upholstered cushion provides additional comfort for lounging.